I used an A4 Board with rounded edges. A Large Round Clip (for the top) - this is here simply to look good. What it seems to be "holding" is stuck down with double sided tape. 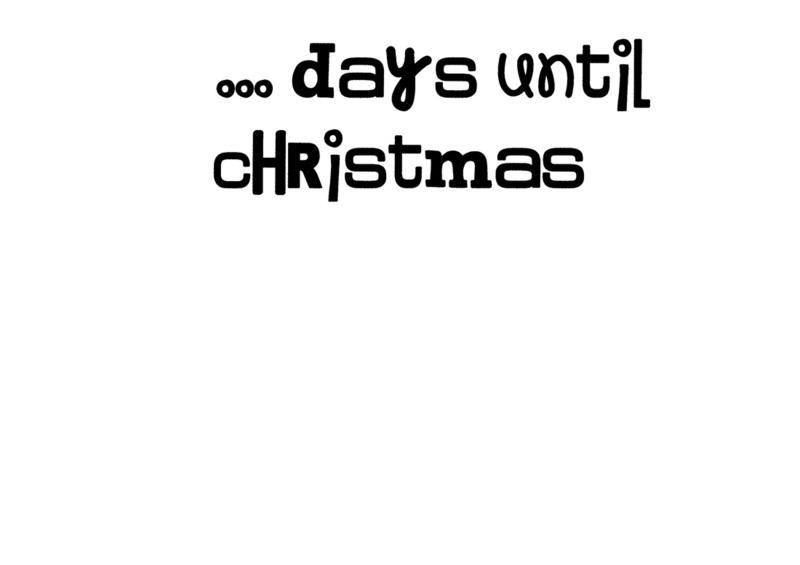 Printer and white card, for the words "Days until Christmas". I used the font "broadcast", cut it to size and rounded the corners with a corner punch. 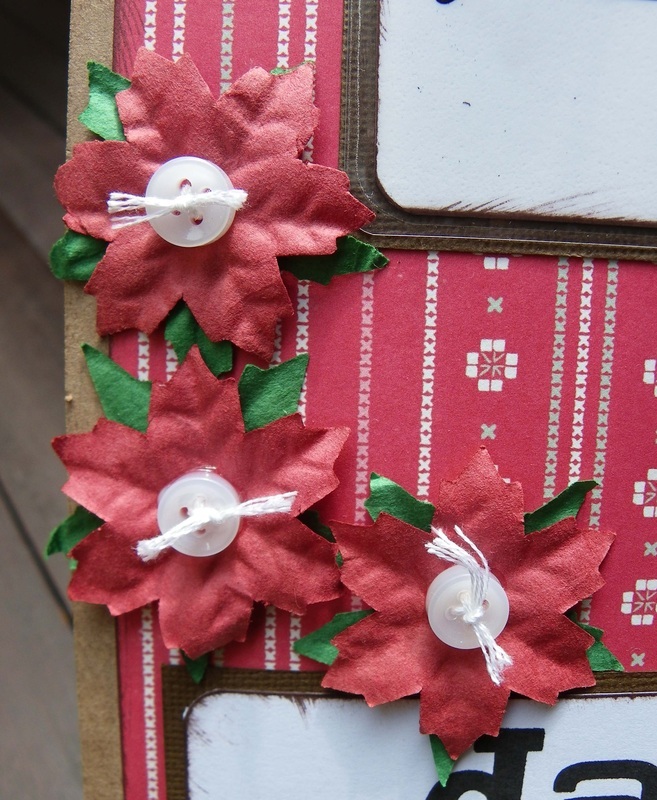 Dark Brown Backing Card - for the white laminated card and the wording. 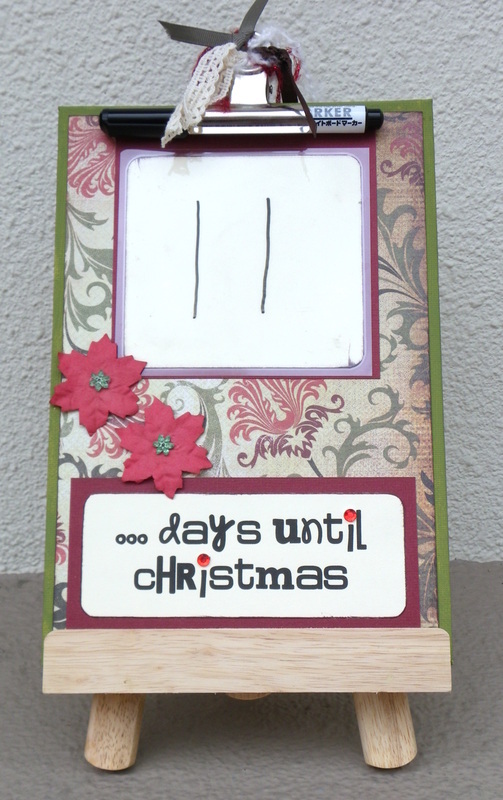 Stampin' up Classic Stamp Pad "Chocolate Chip" - I inked the edges of the christmas paper, "whiteboard" and "days until christmas" card. A laminator - I cut a piece of white card to the size I wanted, rounded the corners, inked the edges and then laminated it. Then I trimmed the plastic around it with a paper trimmer. If you don't have a laminator, you could try covering your piece of card with clear contact, or what is known as "cold laminate". 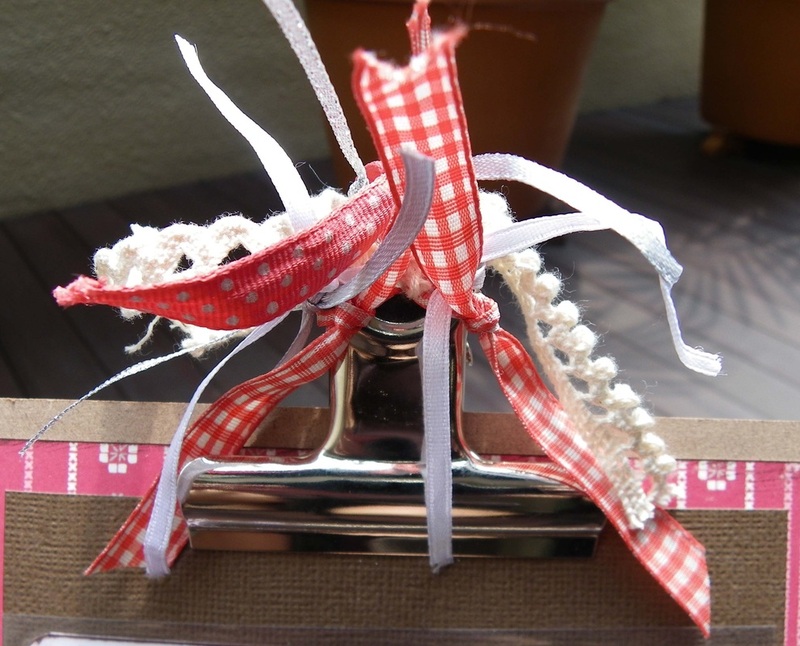 A Corner rounder - to round the corners of the paper, and card. Double sided tape - to tape everything down. 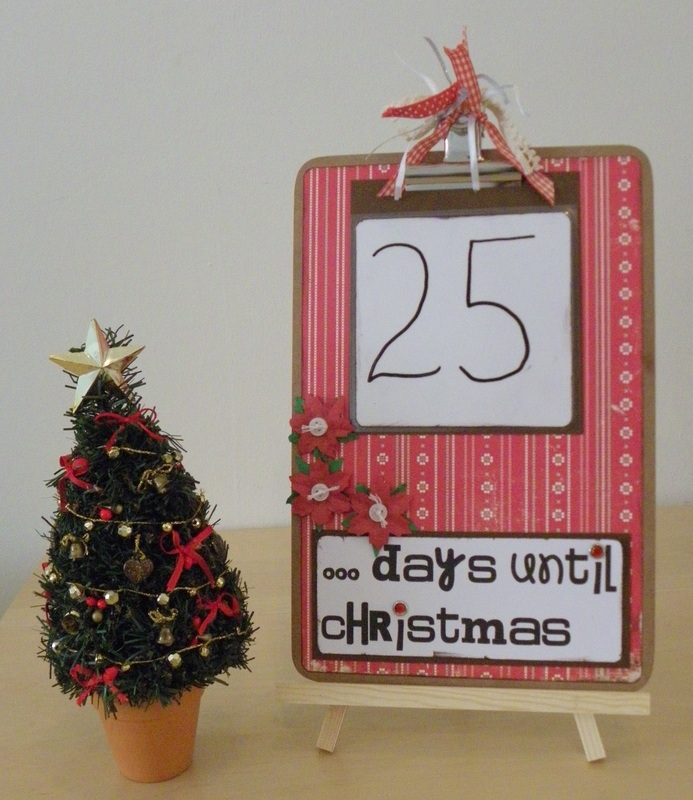 You can use a whiteboard pen or liquid chalk pen (these come in lots of colours) to write on the "whiteboard". A canvas art board, painted "olive" green, Kaisercolour paint. 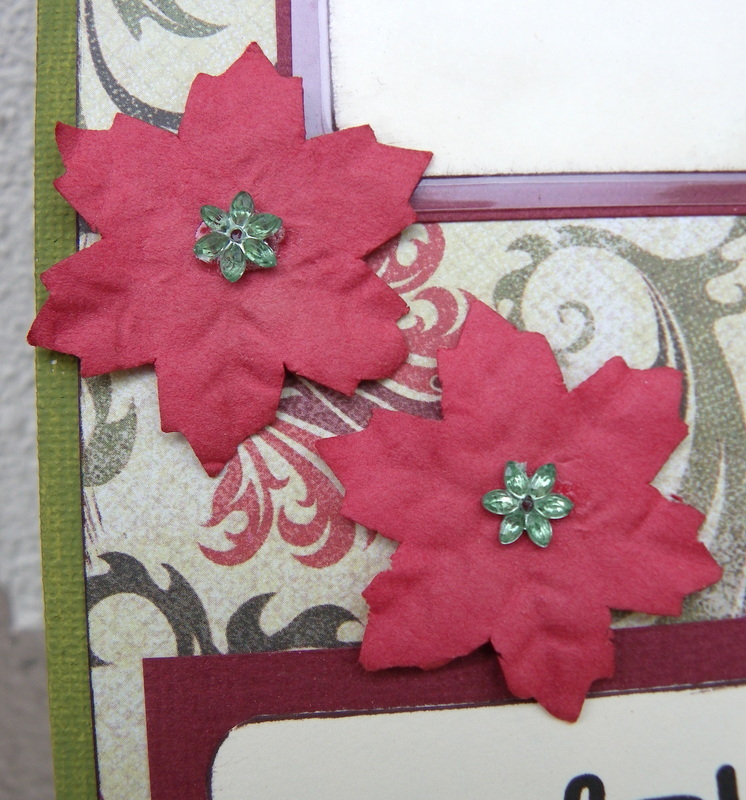 Paper: Kaisercraft Twig & Berry Collection "Yuletide"